The future of the U.S. federal electric-vehicle tax credit hangs in the balance as carmakers fight to extend tax breaks to even more consumers and some lawmakers work to dismantle it. The White House is pushing to end an EV tax credit that has been in place since 2009 and has helped boost EV sales for automakers making a big push into the market. As the Trump administration wades into the debate over the credits, Congress is examining opposing proposals on the EV credits. It would take an act of Congress to eliminate or modify the existing credit. Automakers have invested billions of dollars to develop electric vehicles at a time when consumers have used the credit to make purchases. Although some carmakers have downplayed the importance of the tax credit to their overall sales, their actions indicate otherwise. Tesla Inc., General Motors Co. and Nissan Motor Co. Ltd. have all thrown their support behind a coalition lobbying to give even more consumers tax breaks on EVs. Those pushing to extend the credit say automakers have benefited in terms of sales and argue that consumers could have fewer options when choosing an electric vehicle and might pick a model based on which automaker is still offering the incentive. Those against the credit say it is primarily helping automakers sell EVs to wealthier consumers who do not need tax breaks. Under the current EV tax-credit law, consumers who buy electric vehicles can receive a tax credit of up to $7,500 until an automaker sells 200,000 EVs. Then the credit starts phasing out until it is no longer available. Tesla is the only automaker to hit the 200,000 cap so far, but GM said it should reach that by the end of 2018. As of Sept. 30, Nissan has sold more than 124,000 electric cars, and Ford is at more than 110,000, according to InsideEVs. Tesla, GM and Nissan did not respond to a request for comment by S&P Global Market Intelligence. Bill Selesky, senior research analyst at Argus Research Group, predicts the impact of a total elimination would be insignificant for automakers. "I would expect an impact but relatively a minor one that would not materially affect the demand outlook," Selesky said in an email. He said consumers primarily buy EVs because they want environmentally friendly and technologically advanced cars — not because they are looking for a tax break. In November, a group of industry, consumer and environmental stakeholders came together to urge Congress to modify the tax credit. The EV Drive Coalition, with support from such automakers as Tesla and General Motors, wants to lift the 200,000 cap so more car buyers can receive the full tax credit. 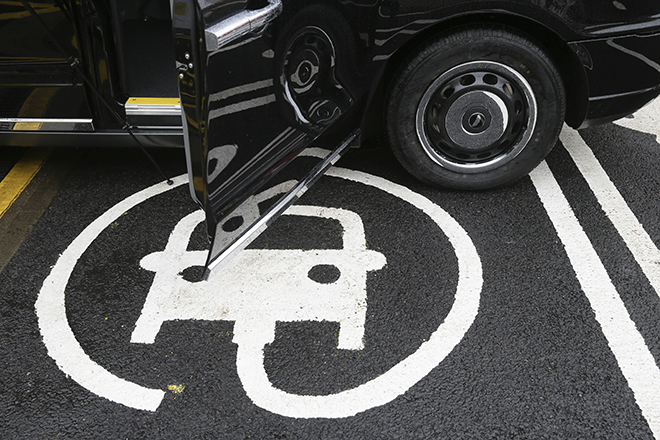 "We want to expand the cap so that the most popular EVs on the market remain available to consumers," coalition spokesman Trevor Francis said in an interview. Failing to do so would make it harder for consumers to buy the vehicles they want, Francis said, which could affect EV sales for automakers. "We're hoping to reform the credit to not only recognize the value of electric vehicles in the marketplace but also not punish early adopters on the manufacturing side and to allow consumers to have the choice we believe they should have where they can purchase the vehicle of their choice," Francis said. Francis said the coalition is not seeking new legislation but is instead pushing for modifications in the existing legislation, which phases out the incentive once an automaker sells 200,000 EVs. In Congress, several bills have already been introduced in 2018 to modify the existing U.S. tax credit. Sen. John Barrasso, R-Wyo., chairman of the Senate Committee on Environment and Public Works, introduced the Fairness for Every Driver Act in October. The proposed bill would end the electric-vehicle tax credit and add a fee on electric-car drivers that would help fund public roads. If passed, the legislation would apply to vehicles placed in service 30 days after the enactment of the legislation. If the bill is not passed during this session in Congress, Barrasso plans to reintroduce the legislation in 2019, a spokesman for the senator said in an email. Barrasso "believes that the electric-vehicle tax credit was created to help establish a market for alternative-fuel vehicles and that the market now exists," the spokesman said. "Ending the credit will save billions of dollars for taxpayers and ensure that drivers of these vehicles are contributing to maintain our roads." On the other side of the aisle, Senator-elect Jacky Rosen, D-Nev., co-introduced the Electric Cars Act of 2018 that would extend the tax credit for 10 years while removing the 200,000 cap. Rosen, who introduced the legislation while serving as a member of the House of Representatives, won a Senate seat in the midterm elections and plans to support a reformed tax credit in the new Congress in 2019. "Regardless of what the White House says it plans to do, this is an issue I believe Congress will be able to make progress on," Rosen said in a statement to S&P Global Market Intelligence, referring to comments made by Larry Kudlow, director of the White House National Economic Council, who said the administration wants to eliminate the credit by 2020 or 2021. "There's a lot of support from members on both sides of the aisle because they know this is a commonsense way we can grow our economy while helping reduce carbon emissions," Rosen added. While the full impact of a potential total removal of credits is unknown, the elimination of the credits and subsequent impact on EV sales in other countries could provide some insight to U.S. automakers. Denmark is revising its EV incentive policy after EV sales dropped when the original incentive was cut. Prior to 2016, consumers who purchased EVs in Denmark were given a partial exemption for their vehicle registration tax. Under the incentive, EV owners paid only 40% of the 180% registration tax, according to the European Automobile Manufacturers Association. When the Danish government started phasing out the exemption — with electric-vehicle buyers slated to pay 65% of the registration tax in 2018, 90% in 2019 and 100% in 2020 — sales of EVs nose-dived. In 2015, there were more than 4,000 new EV registrations. In 2017, that dropped to a little more than 900 registrations, according to several news reports. A similar scenario occurred in Hong Kong when the government capped the discount for first-time registration tax for electric vehicles, and registrations dropped to 99 new EVs from April to December 2017, compared with 2,078 registrations for the same period in 2016. According to a November joint report from the Institute for Electric Innovation and the Edison Electric Institute, a projected 18.7 million electric vehicles will be on U.S. roads by 2030. It took eight years to sell the first 1 million electric cars, but the next 1 million is projected to be sold in less than three years, the report said. The projection took into account the EV tax credit, but the forecast was "not driven exclusively" by the incentive, according to an Edison Electric Institute spokeswoman. The report said other market conditions are driving EV sales and most likely will be present even if such policies as the EV tax credit are weakened. These conditions include declining battery costs, "which means EVs are becoming increasingly cost-competitive from a purchase price perspective," the institute spokeswoman said. Jason Hartke, president of the Alliance to Save Energy, said in an interview that eliminating the tax credit could "throw a wrench" in the EV market by "making these zero-emission vehicles more expensive and slowing sales." "It would also undermine investments auto manufacturers have made as they strive to lead on these energy-saving vehicles, thwarting the progress being made to make these vehicles more affordable and accessible," Hartke said.